The Freshwater Trust (TFT) believes in sitting at the table with anyone who wants to make a quantifiable impact for rivers. That means we pull out a chair for nonprofits, individuals, small businesses, entire cities, and large corporations. Years ago, TFT formed a partnership with Pacific Power Company, one of the West’s largest utilities, to administer its Blue Sky Habitat Fund. This is a voluntary program, where participating customers purchase and support renewable energy, while also helping to restore and preserve habitats for Oregon native fish, including salmon, through an automatic $2.50 monthly donation. The $2.50 donations are given to The Freshwater Trust to administer multiple grants that restore habitat in Pacific Power’s service area. We coordinate use of Blue Sky customer funds and match their donations with grant dollars, creating an even bigger positive impact for our communities. Once a year, TFT puts out a request for different restoration organizations to apply for a portion of that funding. Jeff Fisher, our habitat monitoring lead, sat down to answer a few questions about the success of this program and what we’re looking for when reviewing potential projects to support. The Pacific Power Blue Sky Habitat Fund is a unique opportunity for Pacific Power users to make a small monthly contribution, which goes directly to river restoration efforts being made in their local watersheds. Collectively, this translates to huge beneficial impacts to river health throughout Oregon. What kinds of applicants does TFT look for? 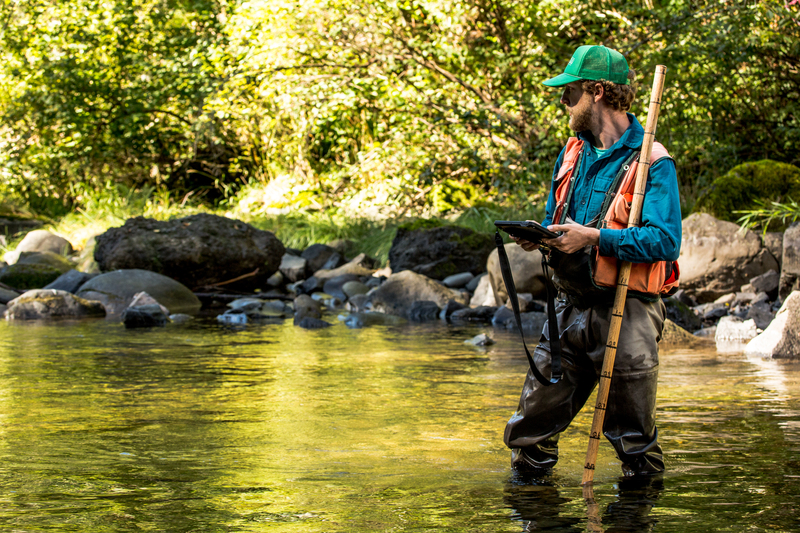 We are looking for stream restoration entities dedicated to implementing meaningful projects for the benefit of ESA-listed salmon, steelhead and trout within the Pacific Power service area. How has this funding helped Oregon rivers to date? Since 2011, Blue Sky funds have helped in restoring 157 miles of rivers and streams in 14 different counties throughout Oregon. In this time, 32 projects have been implemented, providing important in stream and streamside habitat features, which are imperative for the health of a river. The awarded funds stay in the communities where Pacific Power customers who contribute live in. Local contractors are hired to do the restoration work; supplies and materials are locally sourced and staff themselves are often residents. As a result, you see an overwhelming amount of support from the community and an invested interest in seeing the projects succeed. Can you share an example of a project funded last year? In 2017 – 2018, the Applegate Partnership & Watershed Council received $20,000 in Blue Sky Habitat funds, which helped to replace a rusted and dilapidated fish barrier metal culvert on Butcherknife Creek with a precast bridge. The culvert had rusted through, leaving large holes in the bottom of it. The stream undercut and eroded the culvert, which resulted in a jump height that salmon could not pass over and ultimately this created a false attraction to a part of the watershed they were trying to access. For landowners, the failing integrity of the culvert posed a significant safety hazard for them every time they passed over it. The replacement of the culvert with a channel-spanning bridge restored fish passage to more than two and half miles of high-value spawning and rearing habitat for coho salmon within the Slate Creek sub-watershed. For landowners, the bridge provides a sound way to cross over the creek, which meets Oregon Department of Transportation standards. The project successfully engaged local stakeholders from the Southern Oregon Fly Fishers, who volunteered their time to plant native riparian plants along the banks of the creek’s project area. It is truly a great feeling to see a community of invested people come together to give back to the resources they rely on for pleasure. The replacement of the culvert with a channel-spanning bridge restored fish passage to more than two and half miles of high value spawning and rearing habitat for coho salmon within the Slate Creek sub-watershed. What does TFT consider when reviewing project proposals? To put it simply, we are looking for applicants who can demonstrate that their projects will have direct benefits on salmon and steelhead through habitat restoration actions within the Pacific Power service area. Projects that benefit ESA-listed anadromous fish. Having strong technical support from a qualified restoration team and/or by a biologist. Addresses actions outlined in a basin recovery plan. Strong technical design addressing limiting factors with quantifiable benefits. A ≥ 1:1 cash or in-kind match to awarded amount. Quantitative and qualitative monitoring to track project success and change. How do you know the applicants are making a difference with the funds? Awarded projects are required to provide a status update report at the end of the year in which the funds were awarded and then a final report when the project is completed. The reports are intended to update us on the progress of implementation and then a snapshot of the project once completed. Sadly, this is where our tracking ends. However, the success of the projects are deeply rooted in the metrics on which we score each project. Having a strong technical team that informed the project design and implementation and a robust group of other project funders with their own long-term monitoring and tracking requirements gives us the confidence that the projects will indeed succeed. What’s being an administrator of a fund like? It has been such a rewarding experience! We get to work with an energy company that genuinely cares about healthy waters by encouraging their customers to make a small monthly contribution, which ultimately will yield big outcomes in restoring their local watersheds. TFT knows that we cannot fix every river alone. Administrating Blue Sky funds allows us to enable other restoration groups to restore their home rivers, which brings us an equal sense of accomplishment. In administrating this fund, we expose ourselves to a diverse portfolio of projects, which helps us in growing and learning from what others are doing and how we can take some of the lessons learned to further our own work in the field of river restoration. In 2018, we provided funds for the Lomakatsi Restoration Project's Willow Wind Riparian and Meadow Restoration Project through Blue Sky Habitat Funds. Lomakatsi was able to take students out to the site to witness the planting of new trees and shrubs and to explain the importance of a healthy streamside forest. Have there been any unexpected surprises of the program? The community of engaged volunteers, who rally around these projects to make them happen. 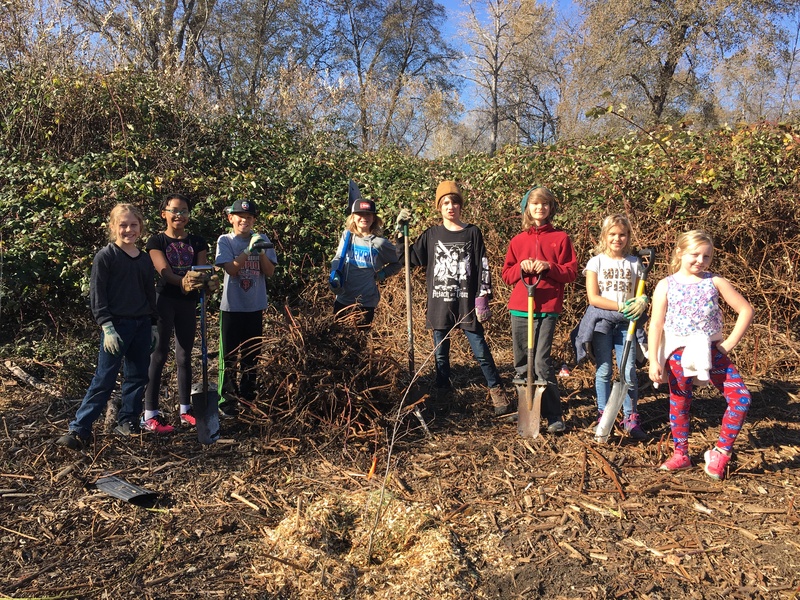 We continue to see a movement in Blue Sky fund recipients reaching out to those that live in the community to help with actions such as invasive plant removal, garbage removal, native riparian plantings, and the list goes on. Specifically, we have been inspired by the youth that are being engaged by these restoration organizations because, let’s face it: ultimately, we are doing this work so that future generations have healthy rivers to enjoy and immerse themselves in. They are the future stewards of their home rivers. How has TFT benefited from being the administrator of these funds? One of the benefits of administering this fund has been our ability to fund some of our projects in the Sandy and Rogue River basins. This enables us to continue to restore rivers and streams on a scale that makes a difference. 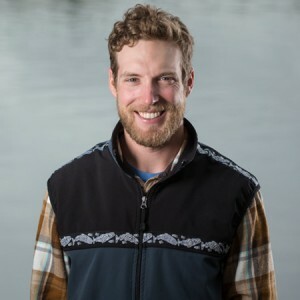 TFT has a strong presence in the Rogue River basin and what we are finding is that basin partners, who we work with on our own projects, are also those who are applying for Blue Sky funds. This makes us a more dynamic and versatile stakeholder in the basin and gives us a feeling of great accomplishment in the effort of restoring an entire basin alongside other qualified entities. Again, no one group can do it all on their own. Interested in applying for a grant through the program? Applications are now being accepted. See if your project applies.